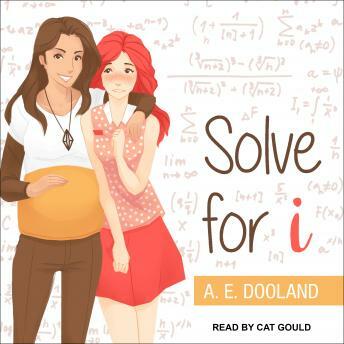 Math wiz Gemma Rowe has found the one problem her math can't solve: she's fallen for her female and very heterosexual best friend. Gemma Rowe is a shy math nerd from Sydney who, despite having an affinity for probability and logic, only just worked out at twenty-eight that she's not actually straight. Not only is she not straight, but she's developed feelings for her best friend Sarah. Sarah and Gemma go way back-since they met at university, they've been completely inseparable. They've traveled together, landed jobs at the same company, and shared each other's triumphs and sorrows. There was even that one memorable night when Sarah, completely drunk, told Gemma she couldn't live without her. To Gemma, romance seems like the natural progression. There's just one teensy little problem with this whole equation: Sarah is straight. Gemma knows the logical thing to do is to get over Sarah. She wants to be in her own happy relationship and not caught up on her straight best friend. But how is she supposed to get over Sarah when, despite all those advanced problem-solving skills, she can't even figure out who she's attracted to anymore?